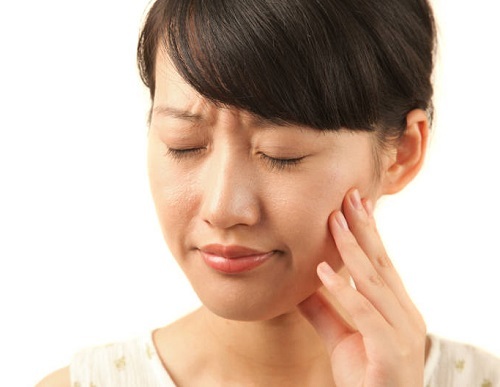 If you suffer from toothache after dental fillings, find out why it happens. Learn helpful tips on dealing with toothache and when to call a dentist here. So, you’ve already had one toothache that sent you off to your dentist for a filling. Now that your tooth is fixed, you’re suffering from another toothache. You have your tooth filled when there is damage to the tooth due to decay. A filling restores your tooth and closes up any decay. They clean this old material out and replace it with material made from composite, amalgam, silver, or even tin. Getting another toothache after filling may leave you wondering why, so let’s take a look at a few reasons this may happen. Why Did I Get a Toothache After Filling a Tooth? Sensitivity – Some people are very sensitive to dental anesthetics. You can also have an extra sensitive tooth after the anesthetic wears off. This usually clears up within days to two weeks after a filling. If the pain doesn’t go away, contact your dentist. Deep Decay – If you continue to have a toothache after filling, you may have deeper decay and need a root canal. This is where the dentist drills deep down into the root, removes the damaged pulp, places a post inside, and caps the tooth. An Allergic Reaction – Some people are allergic to amalgam type fillings. While rare, the allergic response includes pain, rash, and itching. This occurs most often in people who are allergic to metals. The dentist can easily remove the filling and use another substance. Old Fillings – If you have a toothache after filling a tooth long ago, you may have an old filling that is in need of replacement. Fillings can last a long-time, but not forever. Chewing, clenching or grinding your teeth can damage fillings. If fillings are damaged enough, food and bacteria can build up underneath the old filling and cause decay and another toothache. This also puts you at higher risk for tooth abscess. As the anesthetic wears off, you may feel pain when you bit into food or close your teeth. This is very normal after a filling and should go away in one or two days. If the pain continues, the filling may need to be reshaped. Contact your dentist if you have pain for more than two days. If you experience a sharp shooting pain when you eat hot or cold foods and drinks talk to your dentist to get rechecked. It is normal for this to happen once in a while and should go away on its own. If the pain does not go away, you may need to talk to your dentist. If you continue to have throbbing pain like the original toothache this may not be normal and your dentist may need to recheck if the tooth needs further work. This type of pain is felt somewhere else than where the pain really is. In dental pain, you may feel pain in your other teeth other than the one that was just filled. This is a very normal thing and nothing to worry about in the first one or two days after a filling. If it goes on any longer, contact your dentist. You could actually have an issue going on in another tooth. Try not to eat or drink anything too hot or too cold. Let your hot foods cool off a little and warm up cold foods and drinks. Avoid ice cream and anything that has to be eaten while frozen. Try a sensitive brand toothpaste. These can be found on your toothpaste aisle and have something in them that makes your teeth less sensitive and can help with pain. Eat soft food for the first few days. You don’t want to have to chew too much. Avoid meats like steak, pork chops, and bacon. Candy and high sugar foods can cause toothache after filling a tooth, so avoid these until you feel better. Use an over-the-counter pain reliever or ask your dentist for a prescription if the pain is bad. Even though your teeth may be hurting, still brush and floss every day. If you absolutely cannot brush the area where the filling is, use a good antiseptic mouthwash. Avoid smoking cigarettes while you recover. Cigarette smoke can irritate fresh filled teeth. Chew on the other side of your mouth for a few days. Try some clove oil. Use a cotton ball and place a few drops of clove oil on it. Place it on the affected tooth. Do warm saltwater rinses a few times every day. Place about a tablespoon of salt into a glass of warm water and use it to swish your mouth. This will relieve pain and help keep germs away while you heal. Try some vanilla extract. Take a cotton ball and place a few drops of vanilla extract on it. Place it over the affected tooth and bite down slightly. Mercury Toxicity: There are mixed feelings among dentists and researchers if the mercury in amalgam fillings is enough to cause toxicity. It has been found that one filling is not enough to cause toxicity, but more than a few may. There are “mercury-free” dentists that will remove amalgam and use composite materials to replace them. Keep in mind that composite fillings do not last as long as amalgam. Systemic Infection: If you have a chronic health condition, especially one that is cardiac you are at risk for systemic infection that can cause an infection in the heart. If you are at risk, you may need antibiotics prior to dental work. Mouth Injury: While it is rare, drilling and working on teeth can cause injury inside the mouth. This is usually caused by a nervous patient that can’t keep still. Let your dentist know if you are nervous or your anesthetic isn’t working so they can make you comfortable. Tooth Breakage: If a tooth has bad decay, it can break apart during drilling. This mostly happens from waiting too long between dental visits. Make sure you get regular dental check-ups and x-rays.